Six White Wine Grapes that Welcome Summer! While the summer season doesn’t “officially” kick off until June 21, the lively white wines of summer have been ready to welcome patio pours for months. It’s easy to find your favorite grape, region or producer and keep drinking from the same well all season long, but when it’s time to shake it up and sip “out of bounds,” making new vinous acquaintances with less familiar grapes or regions, we are thrilled to help make those tasty introductions. 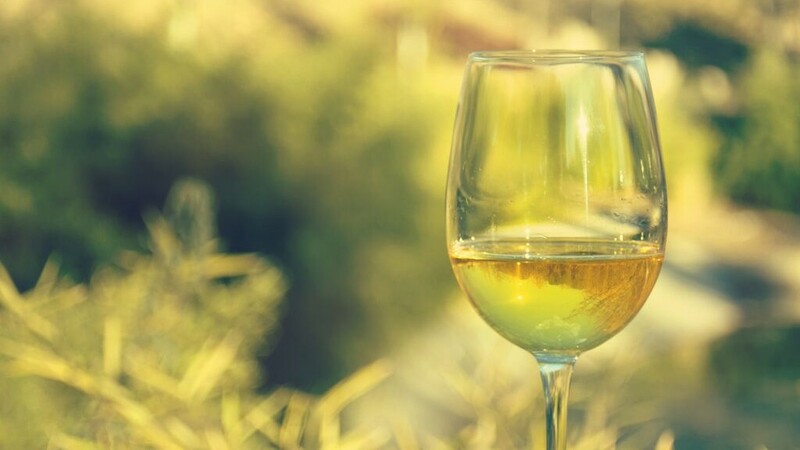 From the sassy citrus vibe of Spanish Albarino to the herbal tang of Vermentino, there’s a summer white wine adventure just waiting to happen. Albarino – Delivering a zesty squeeze of citrus and a dash of salinity in virtually every bottle, Albarino, Spain’s white wine diva, is like sunshine in a glass. Albarino is picture perfect for patio sipping and even better when partnered up with the wine’s hometown culinary heroes like the fresh Galician Country seafood themes of oysters, clams, crab, hake and sea bass or octopus served with white potatoes olive oil and smoked paprika. These versatile, dry white wines deliver incredibly fresh aromatics, with unmistakable acidity and equally friendly price points. Albarino hails from Spain’s northwest corner known as the region of Rias Baixas (pronounced “Ree-yahs By-Shuss”) where the maritime climate exerts a remarkable influence on the wines and the vines. Most Albarino vines are planted within miles of the coast earning the regional wines the enticing nickname of the “wine of the sea.” Ranging from steely, mineral driven bottles to wines with creamy textures, fuller-bodies, and a bit of butter on the finish (thanks for extended lees aging), Albarino showcases a wide range of palate appeal. Verdejo – While Albarino comes from Spain’s northwest coastal corner just above Portugal, Verdejo hails from the continental climate, gravelly-soil and higher elevations of Rueda a well-known wine growing region situated about 100 miles northwest of Madrid. Though historically speaking, the grape can be traced back to the 11th century with deep roots in North Africa. In terms of style and structure, Verdejo is traditionally made in a clean, crisp palate style, though plenty of exceptions and experimentation occurs with both barrel aging and extended lees contact resulting in richer, more complex options as well. These fuller-bodied bottles tend to lean heavily into the exotic flavor profiles of melon and citrus, with a noticeable minerality and almost always a touch of earthy, herbal nuances in the mix. Argentina’s incredibly aromatic white wine wonder, Torrontes offers top notch value (generally in the $10-15 range), prides itself on being remarkably food-friendly and generally carries a medium to full body. Expect a decent dose of mouth-watering acidity (thanks in part to high elevation vineyards), a bone-dry palate style and a heady mix of floral (often rose petal) nuances mixed with rambunctious stone, citrus and apple fruit character. Best bets for food pairings are shellfish, grilled poultry, all sorts of Asian themes with Thai dishes being a personal favorite and even a bit of Tex-Mex with guacamole. Torrontes’ aromas offer up some of the wine world’s best perfumes – sweet, floral and incredibly fresh! Gruner Veltliner (“Groo-ner Felt-lean-er”), Austria’s vinous claim to snappy white wine fame, and as such the region’s cooler growing conditions promise a crisp, high acid, exceptionally food-friendly wine experience. Easily enjoyed as an aperitif and welcoming all sorts of tricky-to-pair foods (think asparagus, artichokes, onions, olives and such), most of Austria’s Gruner Veltliner hails from the regions of Wachau, Kampstal and Kremstal with considerable influence from the Danube River. Similar to Albarino, Gruner Veltliner tends to see little oak influence overall, but relies on stainless steel tanks to retain the bright fruit character (mainly citrus, apple, melon and apricot or peach and sometimes a funky green bean flare) alongside a zippy acid profile. While admittedly not an “out of the ordinary” summer grape variety, no summer white wine list should be without the ultra versatile, equally able to thrive in Old World and New World regions and extraordinarily affectionate towards food wine, known and loved as Sauvignon Blanc. This highly versatile grape manifests itself in a variety of styles under the umbrella of white Bordeaux, from light, crisp and fruity to rich, complex and creamy, its expressive aromas rely largely on the Sauvignon Blanc grape, but keep in mind Bordeaux Blanc often marries the complementary low acid, full-bodied textures of Semillon as part of the region’s savvy blend. Looking for a loud, lively and happily extroverted version of Sauvignon Blanc? Discover it in the exuberant, citrus-infused smile found in the snappy acidity of New Zealand’s favorite white wine grape, Sauvignon Blanc is your “go to” girl when it comes to the smells and tastes of summer. Enjoying a range of styles and growing regions, Sauvignon Blanc’s adaptability, reasonable pricing structure, and overall pairing versatility make it an easy stop on the summer wine train. The clear majority of Italy’s Vermentino hails from the large Mediterranean Island of Sardinia, with the best quality coming from the rugged, granite soils of the northeast quadrant of the island called “Vermentino di Gallura DOCG,” which requires a minimum of 95% Vermentino in the bottle. These high acid wines are fermented to a completely dry style and carry a medium to fuller body in general. In terms of flavors and aromas, earthy, herbal undertones set a distinguishing backdrop for subtler citrus, green apple, and pear fruit character. The herbal influences make Vermentino a top pick for pairing with fresh pesto, vegan dishes, seafood and a number of summer salads.